Appartement 103 was invited to join forces with Hennessy, the Word’s best selling cognac, and Peter Saville, acclaimed British artist and art director, to bring the latest V.S.O.P Privilege Collection Series to life. Following last year’s inspiration – the ‘Genome’ – from the origin and composition of the grape itself, Peter Saville went even deeper into Hennessy’s DNA this year, uncovering the ‘eaux-de-vie’ that composes the iconic V.S.O.P. Privilege blend through the prism of Chromatography. Appartement 103 proudly worked alongside Peter Saville and his team in order to translate his inspiration onto a successful presentation across three main offers. 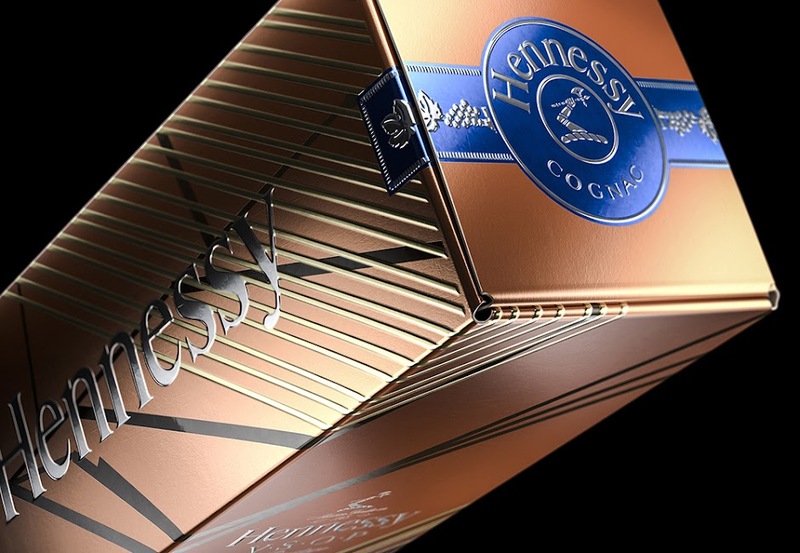 Having to combine our deep understanding of Hennessy’s brand with Peter’s creative vision, the project required great synergy and teamwork, encapsulating the true meaning of co-creation. "Our challenge for this task had two pillars. 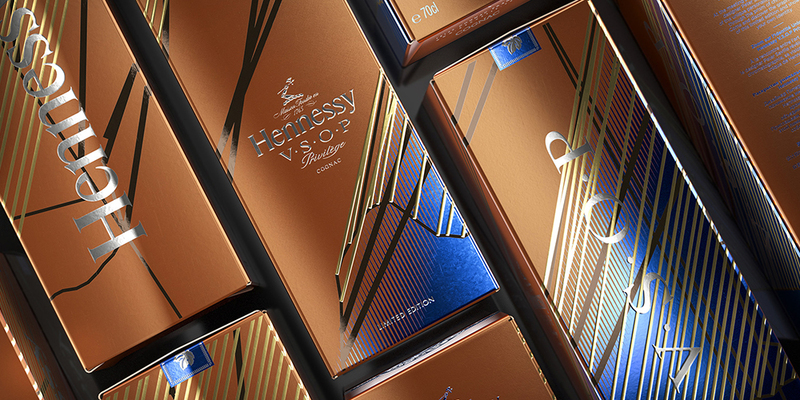 On one side, we had to perfectly respect Peter Saville's signature graphic style while ensuring that Hennessy's core brand identity remained intact and well expressed on the pack. It’s a delicate balance that we successfully reached, supported by our strong and global understanding of the brand” says Julien Zylbermann, Appartement 103’s Creative director and Co-founder. The result of this collaboration is a stunning eye-catching presentation, which elevates the brand through a contemporary and elegant offer. 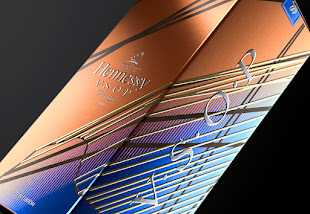 Boasting vibrant metallic colors, subtle embossing and contrasted play of matt and varnish finishing, the final design is an abstract meeting point between art and science that connects consumers with Hennessy's deepest roots.